Publisher: The Friday Project, my favourite imprint of Harper Collins. Why did I choose to read this book? 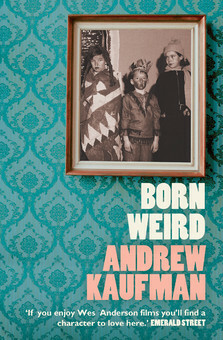 Andrew Kaufman is fast becoming one of my favourite authors and after reading, and loving, both The Tiny Wife and All My Friends are Superheroes I invested in Born Weird. Where to read this book? On a journey preferably a road trip around the USA – failing that it’s short and light enough to add to your train journey home, or away, this bank holiday weekend. Refreshments: Road trip snacks with a difference reach for a bag of lentil crisps – pretty much along the lines of a small poppadom I discovered these bad boys journeying back up to Yorkshire Easter weekend. My third outing into the weird (sorry) world of Andrew Kaufman has once again brought joy into my life thanks to his style, humour and utterly unique imagination. Likened to the literary version of Wes Anderson he has climbed the ranks to become one of my favourite go-to authors counting Jonas Jonasson and Catharina Ingelman-Sundberg as firm friends in this inner circle. I told Andrew via the social medium that is Twitter that I wanted to become Kate Weird, he told me I didn’t, I maintain I still do. This isn’t because of any burning desire to have a blurse put upon me but more to be part of the inner sanctum that is the Weirds. I’m probably coming across as a massive groupie, however, I don’t care, Kaufman has created a brilliant family dynamic, none of them are given preferential treatment, even Angie who is pregnant, everything is put to ‘the vote’ which is the last word on all matters. Without giving too much of the joy away I can assure you that Kaufman has once again managed to bring relevant life lessons to the table without one realising and provides a much-needed alternative to the traditional (and condescending) self-help bookshelves. Rating: 10 out of 10 – my second or perhaps third full marks! Bestselling author of the phenomenally successful The Kashmir Shawl is back with her latest literary installment and this time she’s kept it local. Enter the dirty and depraved streets of London in 1870 and meet Eliza, beautiful, fiercely independent and defying convention. Through her work, as an artist’s model, she meets the magnetic and unashamedly stubborn Devil, a born showman whose dream is to own his own theatre. Third in our unlikely trio is Carlo Bonomi, a hot-tempered dwarf with a ridiculous talent for contortion and illusion. Strong personalities mean emotions run high with only Eliza on hand to balance the uneasy peace. Mild-mannered artist Jasper Button and socially awkward Heinrich Bayer complete our unexpected family. Thrown together by a twist of fate, their lives are inextricably linked and as Eliza gets sucked into the seductive and dangerous world that her strange companions inhabit, she risks not only her heart, but also her life. The novel is rooted in love, first and foremost that of the theatre, but also love of our leading lady Eliza. She has a beautiful spirit and sense of character and I could certainly identify with her conflicting emotions and her desire not to be dominated by the man she loves, she wants to be an equal. The disruptions between the motley crew of characters stem indirectly from her as the competition between her admirers rages through the pages – although one should note that it’s an unfair battle as she is fated from day one to be with one man in particular. With that in mind, prepare to fall in love yourself. Devil Wix embodies the elusive, mysterious and artistic man who makes women flutter their eyelashes and fall at his feet – plus he’s got a dark side and a past shrouded in shadows. If I were to cast him in the cinematic adaptation (as I am sure one will follow swiftly) I would cast Ben Whishaw – sorry Mr Depp you’re a bit old for this one! His second in command Carlo was a poignant character. We discover him drowning in sadness (and beer) after losing his family and fighting a bitter battle against society’s reaction to his stature. Following his descent into anger and eventually an all-consuming jealousy you cannot help but become emotionally entangled, although at times his attitudes were a tad extreme. Strangely enough, the individual that stood out for me was the eerie individual of Heinrich Bayer, a creator of automatons (a type of robot) who becomes unhealthy attached to his creation Lucy. His act is to dance with Lucy every night at the theatre something which is initially beautiful but quickly becomes disturbing especially when he gives her a ‘voice’, in fact Eliza’s voice. 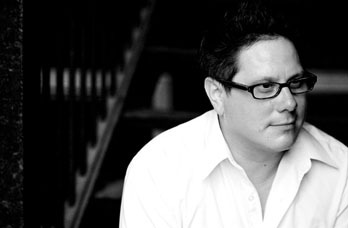 It’s his storyline that provides a unique and extremely dark plot-line that ensures the story has edge and continued momentum alongside the growth of the theatre. This is a magical, atmospheric and gothic tale of a group of unique and often disturbed individuals who are brought together by the theatre and develop into an inextricably linked family. 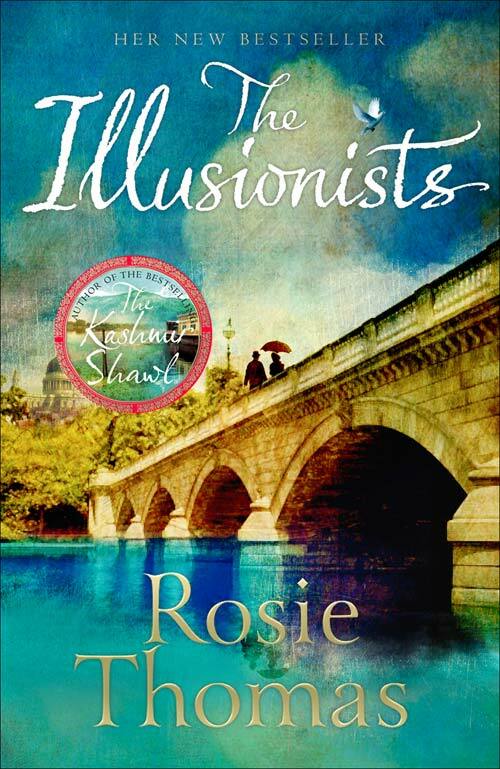 To be in with a chance to win a SIGNED copy of ‘The Illusionists’ by Rosie Thomas, all you have to do is leave your name and email in the reply box below along with your favourite magical ‘Illusion’. The closing date for entries will be Wednesday 23rd April 2014 at 23.59. ONE winner will then be chosen at random from the entrants and announced on the The Friendly Shelf blog on Thursday 24th April 2014. UK and Ireland only. Visit The Book Bag for your next time on this fantastical blog tour! Colette McBeth was a BBC TV News Correspondent for ten years. She lives in London with her husband and three young children. 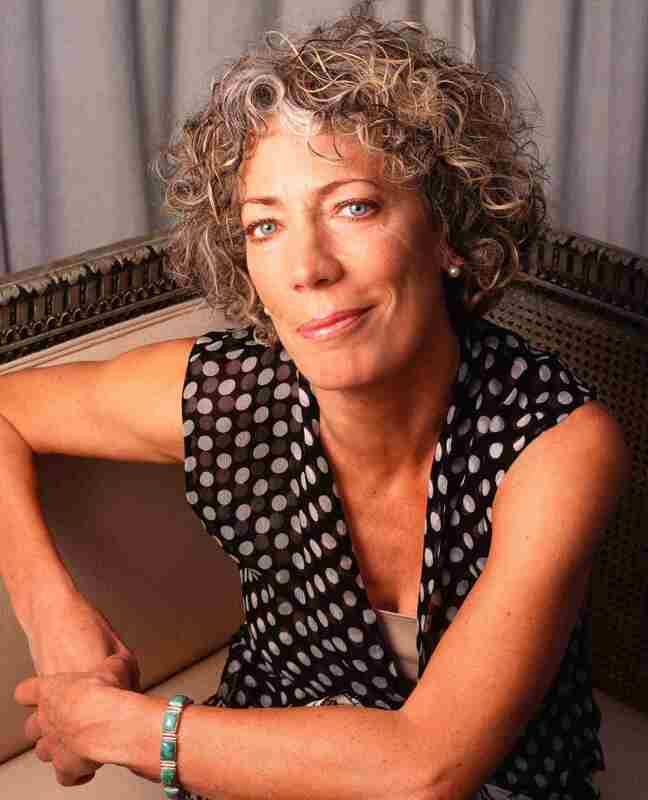 She attended the Faber Academy Novel Writing Course in 2011. PRECIOUS THING is her first novel. Remember the person you sat next to on your first day at school? Still your best friend? Or disappeared from your life for good? Some friendships fizzle out. Rachel and Clara promised theirs would last for ever. They met when Rachel was the new girl in class and Clara was the friend everyone wanted. Now in their late twenties Rachel has everything while Clara’s life is spiraling further out of control. Then Clara vanishes. Imagine discovering something about your oldest friend that forces you to question everything you’ve shared together. The truth is always there. But only if you choose to see it. This novel is full of plot twists and turns that will leave you feeling like you’re on a psychological roller coaster with the ending being a massive free fall into an unnerving abyss. Written in the first person in the style of a letter or perhaps a diary entry by our protagonist Rachel the chapters intertwine the past with the present to give a fast paced insight into the two friends shared history and relationship. Rachel’s childhood is less than chocolate box happy. We witness her battling adolescence with an alcoholic mother and an absentee father unhappy and always slightly overweight and uncool. Her friendship with the vivacious and beautiful Cara is her lifeline and their friendship grows to an unhealthy co-dependence. Tell-tale signs are hinted at and feel just out of reach from the reader as Colette teases us with snapshots of half-told memories leaving our own imaginations to run rampant. This would usually annoy me but in this context it was brilliant and added to a feeling of unsettled eeriness. The descent into family and past revelations gathers pace as Rachel takes it into her own hands to hunt down Cara and a stark and disturbing individual is revealed. However, a review should never reveal too much otherwise it’s ruined for everyone and the surprising nature of the story makes this difficult. Suffice to say the characters you encounter in Precious Moments are disturbing and portray beautifully a relationship that has at the heart psychological warfare and manipulation. 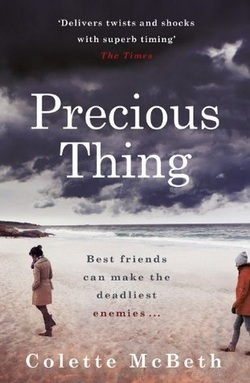 This is a great and shocking read about an intimate friendship and one which fans of a variety of reading genres will enjoy – read it!